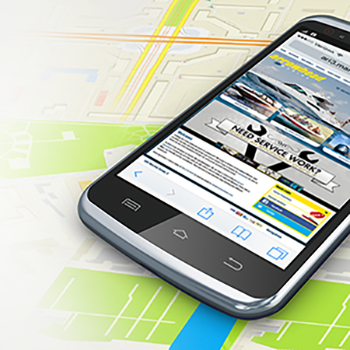 Your website plays just as much of a role as your physical location in the success of your business. If your dealership had no inventory or sales people, customers would probably just turn around and leave as soon as they walked through the door. Similarly, if shoppers can’t find what they need on your website, they’ll likely get frustrated and visit a competitor’s site instead. You can make your website a strong online destination for your customers by making it as easy as possible for them to find exactly what they’re looking for. Helping your customers shop efficiently is as easy as including an intuitive search bar, having easy-to-use navigation and featuring products and sales prominently on your website. Intuitive Search Bar: According to Google, 77% of consumers preferred to use a site search bar first to find what they’re looking for. ARI’s data parallels these results – the site search bar is the most popular feature used on all of our sites, beating out even homepage views. Because of their experiences with companies like Google, Amazon and eBay, visitors to your site expect a search feature. A search bar that allows users to refine their search by price, type brand and sale can help your customers easily find what they’re looking for. You can also use tools like Google Analytics to look at what terms your visitors are searching for. If a lot of your visitors are searching for the same product, feature it on a homepage banner graphic to help them find it even faster. Easy-to-Use Navigation: Studies by Forrester Research found that 50% of potential sales are lost because users can’t find information. In your store, you probably make sure your customers can find what they need by featuring your most popular units prominently and posting signs that tell shoppers where your service department is. The same concept should apply to your website. You can help shoppers find what they’re looking for by featuring prominent areas of your site – “Inventory, ” “Service, ” and “About Us” for example – on your navigation bar. To give your navigation even more impact, incorporate dropdown menus with more options, like a dropdown from your “Service” tab that lists the services you offer. Be sure your inventory page is updated to reflect the products you have in-stock! If a shopper finds a unit online and comes to your store to make a purchase, they’ll leave disappointed and likely visit your competitor if they learn the unit that caught their eye is actually sold out. Featured Products & Sales: Chances are you don’t hide your best units where no one can see them. In your store, the latest and greatest unit probably has a place of honor where everyone is sure to see it. Your website’s homepage banner is a natural place to feature new models, manufacturer promos, popular units and information about your sales. Link these banner graphics to the inventory pages where shoppers can find more information about the units to make it as easy as possible for potential customers to learn more and make a purchase. By making your website user-friendly and keeping it up-to-date with your in-store inventory, it becomes a great online extension of your physical location and a strong resource for shoppers. You can learn more about creating a strong online destination in our HelpForce Live! How to Fuel Your Online Destination to Sell More Stuff!™ webinar.